It was a day I used to dream about when I was pregnant with Isabella. Mother and Daughter taking a trip to the Hairdressers for a bit of pampering, having a lovely girly day. After getting our hair done we'd grab a coffee in a nice little Cafe, might even hit the shops. Yes in my dream, Isabella is about 15/16 and has a part time job to pay for her own expensive hair-do but Mammi would treat her to lunch. 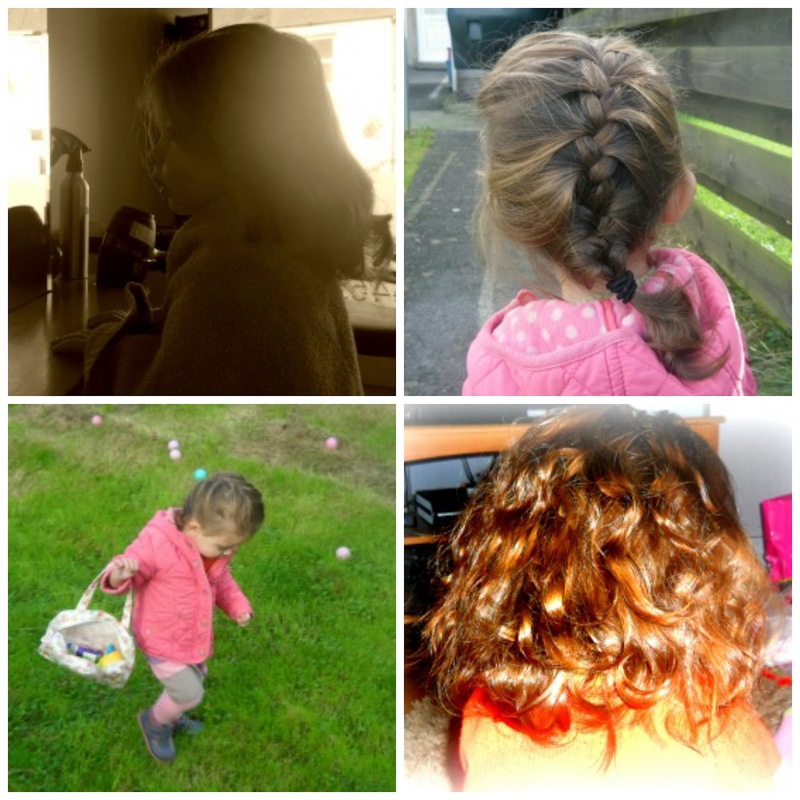 In reality, yesterday I took Isabella to the hairdressers for the first time; a few days shy of her second Birthday. It wasn't a Birthday treat - it was a necessity. Her hair needed cutting. She was born with a mop of black hair, which was a surprise to everyone. They all asked "Did you have any heartburn?" NO!!! I didn't have any. As the weeks passed in grew longer, thicker and wilder. You cannot expect a baby to keep a hairband or clips on their head, so I'd spend (and still do spend) ages each morning putting her hair up nicely only for her to pull it all out a few moments later. It would get in her eyes, it would fall in to her food - she had masses of the stuff. But I couldn't bring myself to have it cut, she was my baby girl and every bit of her was precious - even her crazy curly hair. But now I have had to admit defeat. Yesterday lunchtime was her very first appointment at the salon - and I won't lie; I was dreading it. I had visions of her having an almighty tantrum as soon as anyone touched her hair. I imagined her refusing to even sit on the chair. The terrible two's tantrums she's been having recently hadn't exactly given me much confidence. But my worries we're unfounded - she was a star. She sat in a "big girl" chair. She kept the towel on her shoulders and sat still as she stared straight ahead in the mirror watching the nice lady comb and cut her hair. A few times she did turn her head around to see what was going on in the rest of the salon but other than that she behaved impeccably. Quite unlike her to be honest. She only needed a trim to the thin and whispy ends and what we've been left with is a thick mop of curls which is the same length the whole way around. I don't think anyone would have forgiven me if I'd have done anything drastic. What she's had done will help her hair grow neatly from now on. Hopefully today's experience was calm enough for Isabella that she won't play up the next time she needs her hair cut; I only hope a visit to the dentist will go as smoothly. As I sit here today posting this it's made me realise that it was a Mammi & Daughter experience I can't wait for when she's older.